The Adult Psychiatric & Mental Health NP exam is a comprehensive and detailed assessment for men and women hoping to enter this challenging field of healthcare. 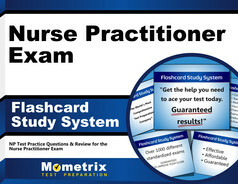 The content of the assessment can be broken down into the following domains of practice: health promotion and disease prevention (24 questions, 16% of the exam); assessment of acute and chronic disease states (35 questions, 23%); nurse practitioner and patient relationship (13 questions, 9%); clinical management (51 questions, 34%); professional role and policy (18 questions, 12%); and research (9 questions, 6%). The health promotion and disease prevention section covers epidemiology/risk analysis, risk reduction, health behavior guidelines, biological considerations, growth and development, screening tests, and wellness assessment. The assessment of acute and chronic illness section of the Adult Psychiatric & Mental Health NP Exam covers epidemiology/disease risk and control; anatomy/pathophysiology, normal and abnormal; psychopathology; diagnostic reasoning/differential diagnoses; and health assessment. In the nurse practitioner and patient relationship domain are questions related to the following topics: cultural competency; therapeutic communication; patient, family, and community education; and the promotion of patient and family wellness. In the clinical management section, meanwhile, you are likely to encounter questions related to standards of practice, clinical guidelines, pharmacotherapeutics, clinical therapeutics, clinical decision-making, safety, theoretical models/applications, and documentation. 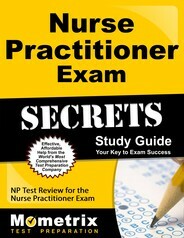 The Adult Psychiatric & Mental Health NP Exam was developed by the American Nurses Credentialing Center.